We love shopping, that much is clear. But we're over buying one time pieces that only look good at a certain type of event or for one outing. Right now we're all about buying investment pieces that go with as much of our wardrobe as possible, therefore providing us with the maximum amounts of outfits. It's simple fashion maths, really. 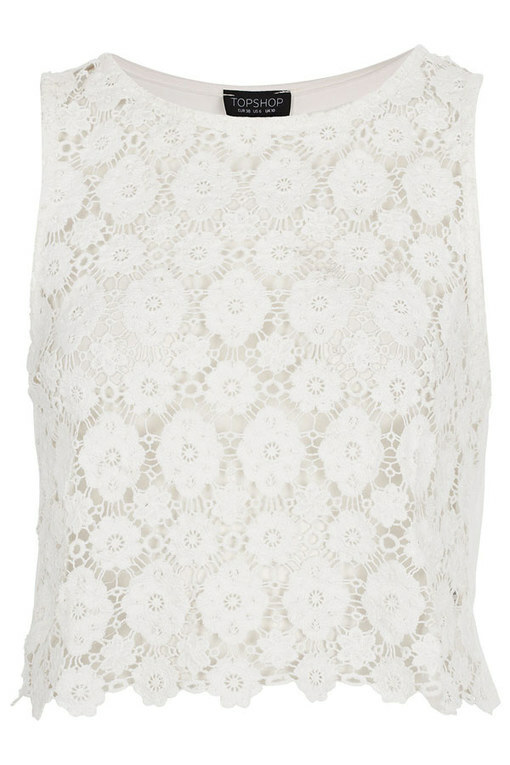 Take this gorgeous white crochet crop top from Topshop for example. We love that it's totally seasonal, but also works with a multitude of our other threads.